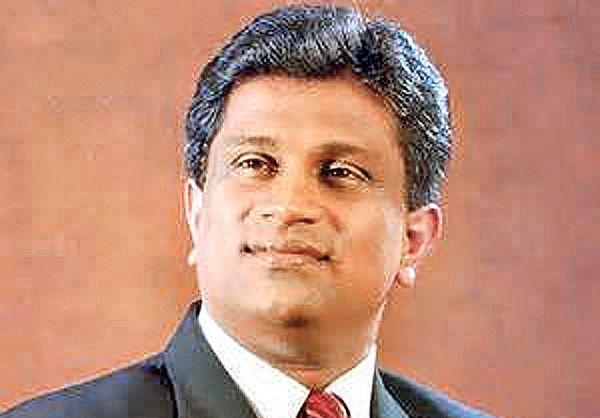 The Government must probe if there are members in Parliament who have not disclosed their dual citizenship status to the country, Power and Renewable Energy Deputy Minister Ajith P. Perera said. He said if the public demand for a probe, the police could do it with the support of the Foreign Affairs Ministry. “Many sources has expressed reasonable doubt that more parliamentarians hold dual citizenship. It is the duty of the Government to probe the matter as it is a serious infringement of the Constitution,” he said. The Deputy was addressing a media briefing held at the Ministry, yesterday. He spoke on several matters including the Supreme Court decision to unseating former MP Geetha Kumarasinghe. Deputy Minister Perera said the information at the Department of Immigration and Emigration with regard to MPs holding dual citizenship may be incomplete. “The Immigration and Emigration Department told earlier that they only have information on former MP Geetha Kumarasinghe as an MP, who holds dual citizenship. The only reason that the Immigration and Emigration Department knew this is because Geetha Kumarasinghe actually informed them so. Otherwise, the Immigration and Emigration Department will not know of a change in a person’s citizenship status,” Perera explained. Deputy Minister Perera said more parliamentarians who have not disclosed their dual citizenship status may be in parliament. “If a law is applicable to Geetha Kumarasinghe, the same law should be applied to all other MPs. The probe could be easily done on all 225 of us without concentrating on individuals,” Perera said. Deputy Minister Perera explained that when Sri Lankan citizens from birth receives citizenship from another country, their citizenships in Sri Lanka get automatically cancelled. “Then, they should request the Immigration and Emigration Department to resume his or her status as a citizen of Sri Lanka,” he said. “A person holding dual citizenship is not an issue. But MPs are not the same. We as decision-makers who took an oath to serve the country and put it first as citizens of Sri Lanka. If the same persons have allegiance to another country it can be problematic. So, it is important that we find out who has not disclosed information with regard to their citizen status and it is more important to identify who is actually loyal to our motherland,” Perera said. Deputy Minister Perera said that there could be serious consequence for the United People’s Freedom Alliance (UPFA) nomination list for the Galle district from where Kumarasinghe was nominated. Perera said the UPFA nomination list could be disqualified on the basis that they have nominated a person who is disqualified and consequently mislead the public. Perera was of the opinion that the matter should be taken up before the Supreme Court. Speaking on the unseating of Kumarsinghe, Deputy Minister Perera said that she will have to repay the Government all the perquisites she was entitled to within the current term of Parliament. Parliament would calculate the repayment amount in due course, he said. If any body in the Parliament fail to divulge their duel citizenship is a punishable offence from the date of the Court verdict. The Parliament can recover the payment from the day already paid to the Members the verdict was given since the fail to divulge the duel citizenship.